IQS Directory provides a comprehensive list of titanium metal manufacturers and suppliers. Use our website to review and source top titanium metal manufacturers with roll over ads and detailed product descriptions. Find titanium metal companies that can design, engineer, and manufacture titanium metal to your companies specifications. Then contact the titanium metal companies through our quick and easy request for quote form. Website links, company profile, locations, phone, product videos and product information is provided for each company. Access customer reviews and keep up to date with product new articles. Whether you are looking for manufacturers of tungsten metals, anodized titanium, perforated titanium panels, or customized titanium metal of every type, this is the resource for you. A metallic element known for exceptional strength and low weight relative to some steels, titanium can be alloyed with a number of different elements for a number of applications, including aerospace, military, automotive and industrial process. Altemp Alloys superior titanium and titanium alloy products to the aerospace, aircraft and defense industry. The term “titanium metal” encompasses a vast group of metals and metal alloys that are made from or extracted with titanium as their primary material. In general, titanium metals are highly corrosion resistant and extremely strong. Also, they are much less dense than most other metals with comparable strengths to their own. For example, titanium is equal in strength to steel, but it is approximately half as dense as steel. In its pure form, titanium metal is the same strength as metal while 45% lighter, as well as twice as strong as aluminum but only 60% heavier. Given these traits and others, such as heat resistance, sterility and lack of reactivity to the human body, titanium metals have great value in a number of industries. Some of the industries in which titanium metals shine the brightest include: aerospace, aquarium, automotive, desalinization, electronics, healthcare, jewelry, military and defense, power generation and shipping. Titanium alloys, which include various metals like iron, aluminum and vanadium, tend to enjoy a higher level of popularity than pure titanium metals because they are less hard. This is a desirable quality because pure titanium is so hard that it can be hard to shape or weld. Nevertheless, pure titanium metal products are popular for use in the medical industry, where they are used to make surgical implants, instruments and prosthetics, such as titanium rods that hold the spine in place after scoliosis surgery or metal components used in knee replacement surgery. The reason that titanium metal is so popular with surgical applications is that it is metal and does not react negatively with the human body. This lessens the chances of infection, allergic reaction or the body rejecting an implant or prosthetic. For the same reasons, some body piercings are also made from pure titanium metals. This is, however, somewhat rare because titanium is so expensive. While titanium makes up about .57% of the Earth’s crust and ranks as the ninth most abundant element on the planet, it cannot be found in pure form. Rather, it is found embedded in mineral deposits, or ores, like Sphene, Ilmenite or Rutile. To get to the titanium, interested parties must extract it from the ore. They may employ a number of different extraction methods, but the most common way to extract pure titanium metal is via the Kroll Method. Using the Kroll Method, titanium manufacturers produce titanium in highly porous pieces known as sponges. To do so, they first use fractional distillation to form titanium tetrachloride. After the formation of titanium tetrachloride, they reduce it down, using magnesium, into a functional metallic form. From here, the resulting titanium sponge is usually pressed or melted into castings. When melted, pure titanium can be altered with other elements in order to become an alloy. Either way, castings impart them with new forms, such as sheets, foil, bars, wire, granules or powders, which can then be distributed to parts manufacturers. Once titanium metals are distributed to a manufacturing company, the company will select either sacrificial nodes, which are used to protect base structures, or or plating anodes, which are used in plating or electroplating processes. 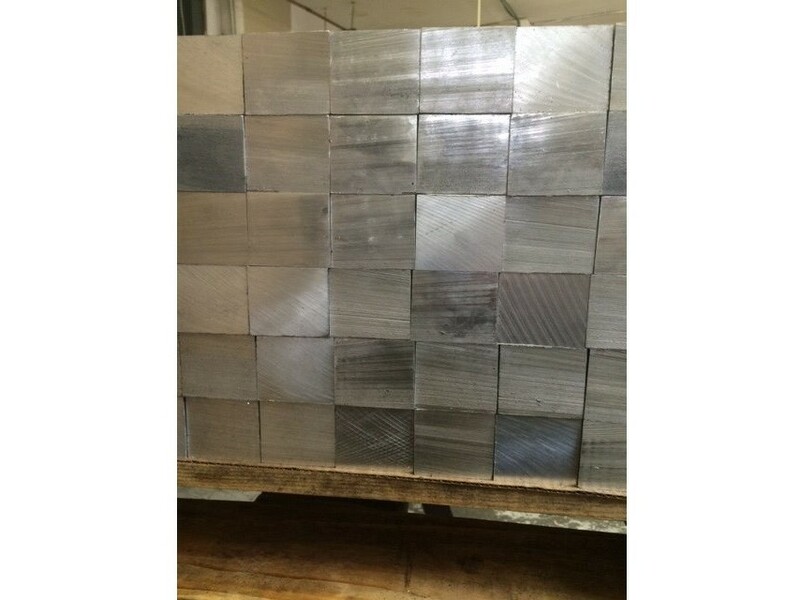 When these are used in conjunction with other techniques such as casting, cold forming, extrusion, flat rolling, forging, hot forming, machining, spinning, welding and/or wrought proceses, the results are well-formed stock shapes or durable and highly useful final products. Some of those products most commonly made in part or in whole from titanium metals include: bicycles, exhaust systems, jet engines, missiles, paint, plastics, spacecrafts and valve springs. When putting together a titanium metal part or product, manufacturers take into consideration a number of different factors, among them size and production processes and, most importantly, titanium grades. Titanium grade consideration is of the upmost importance because, in order for a part, product or process to work both properly and safely, it must be made of or matched with components made of a titanium metal with properties that match its needs. Of all the titanium grades, the most commonly employed is titanium grade five, which is heat-treatable, durable, strong, stiff and corrosion resistant. To find out more about titanium five and other titanium metals, contact a reputable metal manufacturer. The right manufacturer will guide you in the right direction and help get your application off the ground and running. Begin your search by perusing the list of companies we have listed near the top of this page. All of those with whom we partner are professional, experienced and fair.